Cud you in future let uz know when/wer ders gona be a demo? 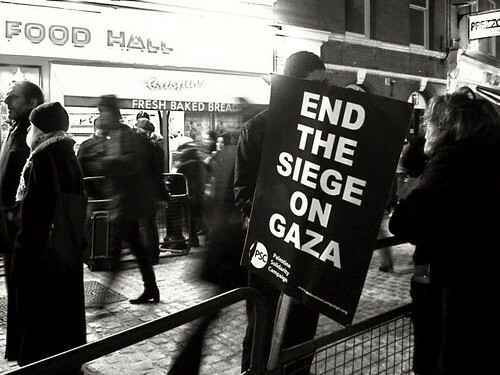 Tuesday 30 December, 2 – 4pm outside Israeli Embassy, Kensington High Street, London, W4. Nearest tube Kensingston High Street (turn right out of tube station and walk along the main road. Friday 2 January 2 – 4 pm. Outside the Egyptian Embassy, . 26 South Street, London, W1K 1DW. Call for Egypt to open the border immediately.